My husband and I live and breathe dogs and agility. Together with our four dogs we run a coaching business where we teach a Finnish methodology of dog agility known as OneMind Dogs. We spend our weekdays training the dogs with several short sessions to build up strength and endurance, alongside bush walks, swimming and hill training. On weekends we are either teaching seminars or competing in agility. 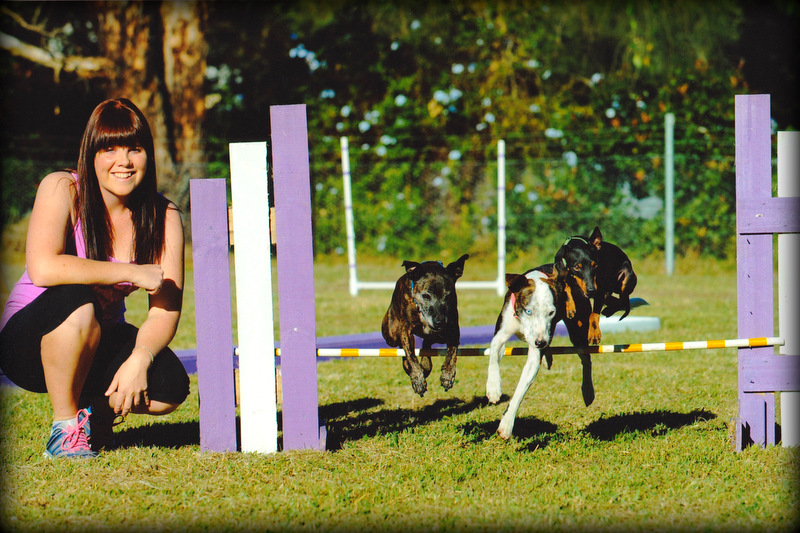 An agility trials involves around 6 runs for each dog per day, where they are required to climb ramps, run through tunnels, weave through poles and jump over jumps as fast as they possibly can. Agility requires power, strength and endurance, all of which come from a balance of training and a high quality fuel. That's why we love TASTE OF THE WILD. Our dogs absolutely thrive on this food, the highly digestible protein fuels their muscle building while the probiotics, fruits and vegetables support a healthy immune system which allows for fast recovery after training and trials. We feed TASTE OF THE WILD to all four of our dogs and it is the only food I have ever found that suits such a wide range of dogs. From our 3 year old high energy working dog, to our middle aged dogs that are at the peak of their agility career and who have previously had both skin and stomach issues on other foods. Most importantly I can feed the same food to my 14 year old retired agility champion, who was still competing at the age of 13 and who his physio said has "the best muscle tone of a dog his age he has ever seen". Our old boy Pepe may be enjoying retirement on the sidelines but we still do our best to keep him happy and healthy and TASTE OF THE WILD plays a big part in that. Thank you TASTE OF THE WILD for making feeding our crew so easy and enjoyable, watching them refuel always puts a smile on my face!